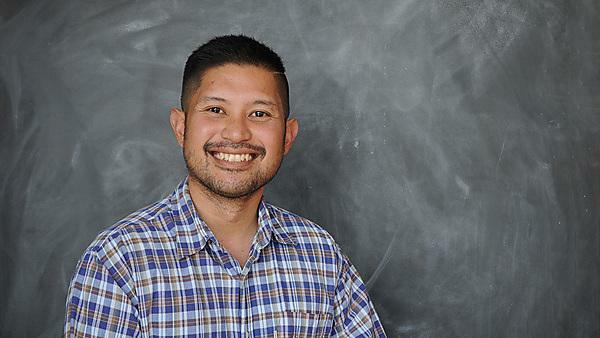 Diego Maranan talks to us about his research and what advice he would give to others wishing to get in to the same line of work. Using a body therapeutic and educational system called somatics, I designed a portable, adaptable, wearable technology (called Haplós) using vibrating motors that play special patterns on your skin, in order to make you more aware of yourself and feel better. The most exciting part of my project was to work as part of the CogNovo doctoral training programme, where my project was one of twenty-four research projects in experimental psychology, interactive and creative arts, cognitive neuroscience, the humanities, computational modelling, and cognitive robotics. All of my best experiences – the summer school I helped organise, the discoveries I made during research, winning first place as part of a team at the Hack the Brain 2016 hackathon where we used Haplós – were set against the rich interdisciplinary background of CogNovo. There are some very interesting theoretical outcomes but also some really exciting areas in which the technology (and the theory) can be applied, including therapeutic and educational domains. I intend to resume a faculty position in the Philippines at the Faculty of Information and Communication Studies, University of the Philippines Open University. Take the time to explore and be curious about everything, but also invest in developing a skill (or two) deeply. Absolutely everything under the sun is fascinating if you think about it. Your job is to develop an unquenchable curiosity about yourself and the world you live in, and perhaps awaken it in others along the way. Through the CogNovo programme, Plymouth University gave me the space, the resources, and the freedom to explore many of the diverse topics that have captured my imagination as a young child and as an adult. Yes. I had wonderful supervisors and colleagues, and couldn’t be happier with my experience.